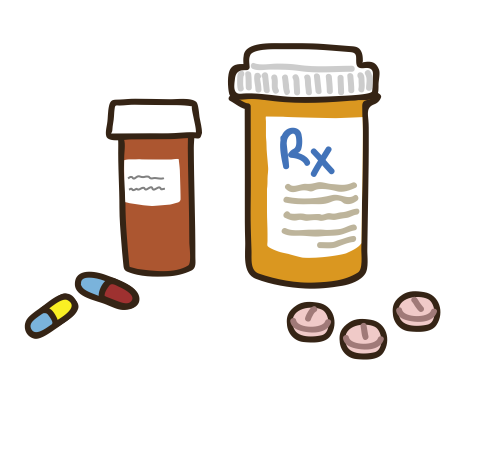 A few weeks ago we made the difficult decision to try Katie on Methylphenidate (Ritalin to you and me). It wasn't a decision made lightly. It was more a decision made out of an ever increasing feeling of desperation as Katie's behaviour currently is becoming more and more hyperactive and aggressive at home. I say "at home" because most of her really hyperactive and aggressive behaviour is saved for at home. I still see the look of puzzlement on her teacher's face as I talk about our challenges at home. It's like we're talking about a very different child. To some extent we are. Katie does an amazing job of trying to contain her behaviour at school;be polite and helpful and to concentrate as best as she is able. Her teacher does see some anxiety and some impulsiveness but thankfully not enough to be disruptive. Katie is never aggressive at school and she even tidies up without arguing. This begs the question about why she is aggressive at home. Is it simply because she is letting off steam from school? Is it attachment linked? Is it something to do with our parenting skills? Does she simply feel relaxed enough at home to behave this way? Is she more stressed at home? Is she using her ADHD diagnosis as an excuse for bad behavior? She has taken to coming to me tearfully telling me how much she hates having ADHD and she can't help her behaviour. I'm afraid my response to her is that having ADHD isn't an excuse - it's an explanation but it is never an excuse. One thing is clear - it's all very complex and is probably a combination of all of the potential reasons and we, as her parents, are left scratching our heads and wondering how best to manage her behaviour. The above all delivered dramatically whilst stomping in the opposite direction. If I turn my back on Katie when she's with Pip you can guarantee he will be crying within less than 20 seconds telling me she's slapped him. I've written before about Katie's behaviour in "Not All 8 Year Olds Do This" and feeling like a Meerkat; none of this is new but it is feeling very old. I'm tired of trying to understand it all and holding my breath in anticipation. It doesn't help that Pip is in full 3 year old mode; into everything; arguing about everything; also telling me to "shut my mouth" (thankfully minus the "F word" part); driving our builders crazy by putting nails down the drains; and refusing to walk or follow me or running off when he does actually get up. Thankfully Pip is still very able to amuse himself and is mostly cheeky rather than obnoxious and I feel confident that, for him, a lot of this will pass with maturity. I decided to speak to our Paediatrician about it at our most recent hospital appointment. I'm concerned about the long term implications on our home life and Katie's learning. I don't want to live in a war zone. I'd like to feel I have a modicum of control at home (who am I kidding you ask yourselves?). I'd like to feel like I have a plan - I am someone who needs a plan. I'd like to not have to have a major DEFCON 1 meltdown every time I ask Katie to get dressed or eat her dinner or turn off the TV or pretty much anything and everything she is asked to do. Our Paediatrician suggested trialing a low dose of Methylphenidate. 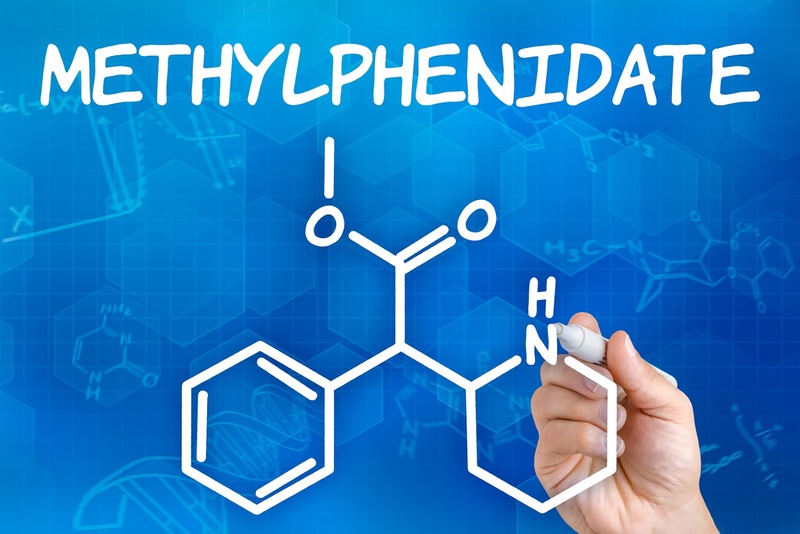 Methylphenidate is a central nervous psycho-stimulant (CNS). It can improve alertness and concentration and improve executive functioning in children with ADHD. The hope being that it might improve her concentration at school and improve her relationships at home. It's trial and error though. Once concern is that the FASD element of her diagnosis will mean that Methylphenidate doesn't work for her and we may need to try a different medication. Side effects could be an increase in her anxiety and a decrease in her appetite. Because Katie is starting off on a 5mg dose it may simply not be strong enough to effect her functioning. It's also a short acting version of the drug so most of the benefit will be at school. It's a watch and see scenario. I'll admit it felt very strange having to sign for a restricted medication and all the implications that has. So far there appears to be no impact on her appetite. If anything she appears more hungry and there has been no increase in her feeling sick or complaining of tummy aches or a noticeable increase in anxiety. We've not seen a marked decrease in hyperactive behaviour. If anything she is as bouncy and aggressive as ever she was and talking at 100mph. We will just have to see how the 6 week trial progresses. I have read that Mountain Dew can help calm down people with ADHD (as can coffee). Let's just say that the impact on Katie of a quarter of a bottle wasn't for the feint hearted and we won't be trying it again. I gave it to her on a drive to watch the Brighton Marathon recently and I thought she was going to implode at one point. I didn't even know someone could talk that fast about anything that popped into her brain! This does make me wonder whether typical ADHD medications will be beneficial for her FASD brain. We will just have to watch and see. I didn't want to take the medication route if I'm honest. I'd prefer a more natural route. I'd prefer using better parenting strategies but Katie's high level of oppositional behaviour is making this very hard. I know I shouldn't feel this way but I do feel a bit of a failure and it does make me second guess my parenting abilities. We will still keep exploring natural alternatives and I'm open to suggestions. At least the Melatonin is still working well and Katie is getting plenty of sleep. With natural remedies in mind I recently tried both Katie and Pip on concentrated cherry juice at bedtime to try and increase their natural Melatonin levels. 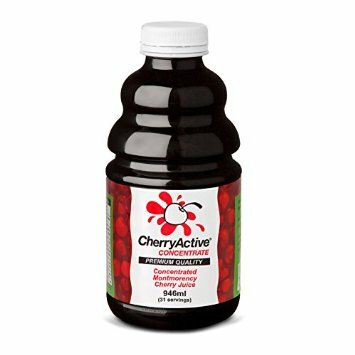 Concentated cherry juice has one of the highest natural levels of melatonin so I was hoping this might be a great alternative to the tablets. Initially Pip was happy to have his dose. It is very strong tasting and sour but he was quite cool about it until he realised that Katie didn't like hers. Now he won't take it either. I take it though, and I will say I'm sleeping very well and waking little from taking it so it clearly does work. It is a very strong flavour though which probably isn't overly palatable for children. I might experiment with mixing it with other juices to see if I can encourage the children to try again, maybe at dinner time. 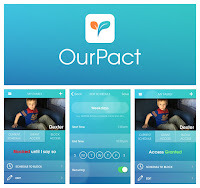 One bit of control I've taken back is with the iPad after installing the Our Pact software on her tablet. I've noticed that about 45 minutes of iPad time can really help regulate Katie but anything over an hour makes her aggressive. Getting the iPad back from her is a massive challenge though. The Our Pact app is great! I can simply block her access to her iPad from my own iPad or iPhone. I can grant her access for set periods of time. This little app has taken away an enormous daily battle because I can do the deed remotely. I don't have to ask her to turn the tablet off any more. I don't have to stand there arguing with her whilst she screams and shouts for another 5 minutes. For some reason she accepts that the iPad will just lock the screen at a set time and doesn't seem to relate it to me. It also means that I can block her instantly if she is giving me a lot of lip. The other thing I'm doing more of is walking away from Katie. I'm ignoring the bleating yells of "Muuuuuuuuuum!" when she wants me. I'm trying to walk away when I can see an issue escalating and when she runs away from me when I've asked her to go to cool down a bit. I'm trying not to yell at her. I'm trying to ignore the swearing. I'm not always very good at doing all of this. I find it hard to ignore the traditional parenting voice that tells me I shouldn't let her get away with talking to me like that or that I have to resolve or control a situation immediately. I'm up against a master of wind-up. Katie will keep taking things to the next level, waiting to see what is going to happen. It's exhausting. I find I don't always want to do nice things with her and I'll admit there are times when I just want to get her to bed or away from me as quickly as possible because my head literally hurts from the stress of the noise, the shouting, the constant chattering and the arguments. I'm ever optimistic though and always searching for what might help us. I do feel we need more parenting input and training though, not just the Theraplay games that we've been learning. I need to feel more confident in laying down rules and how to deal with the fall-out. Maybe I am dealing with it well and it's just that there is no answer. It's not in my nature to accept that though so, maybe to my detriment or maybe to our benefit, I will keep searching and reading and asking questions. 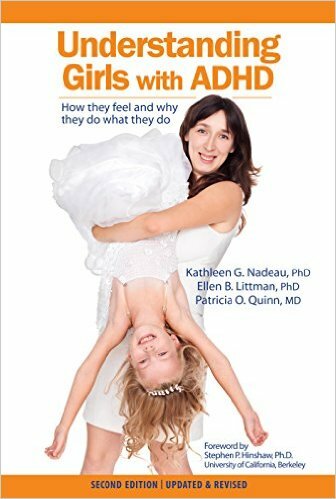 One book I have found very helpful is Understanding ADHD in Girls by Kathleen Nadeau, Elle Littman and Patricia Quinn Nut. It's an American book so some of the references and resources sadly aren't ones available in the UK but the information about how ADHD presents in girls is really interesting and helpful. I would like to see more parenting tips in it as I'm still trying to find some local parenting support. The problem with parenting challenging children is no-one really ever admits to how bad it is or what parenting techniques they really use. There's a lot of cloak and dagger and probably shame around parenting challenging children. I suspect it's because the behaviour brings out the worst in us as parents. We feel things we don't want to feel about our children and we can say things that we don't want to say or react in ways we don't want to admit we react in. The fear of not being good enough or admitting we feel failures is enormous. It feels like everyone else copes better than we do and has better strategies. As an ingrained people pleaser I am finding having children with challenging behaviour that makes me stand out in public very emotionally hard. I'm learning and I'm getting a thicker skin but I find the looks that other parents give me very hard to take at times and I now see that this pushes the buttons in me that need to show I'm managing the situation. "Look at me - see I am in charge". Sadly that isn't the case and I suspect life would be a lot easier if I could feel confident in what I am doing and say to hell with other people. That might help me stay in tune with the kind, gentle and loving person that I really am. I feel like a sheep in wolf's clothing currently because the fishwife that I can turn into really isn't who I am and it isn't who I want to be. Gem, I stumbled across your blog a few days ago, and it's been like reading a book I can't put down - I want to know the ending! You seem like a great person and a brilliant Mum. You come across as kind, considered, intelligent and caring. Keep going, you are doing a great job! Reading your blogs make me feel less alone as my son is the male equivalent of Katie! He has been on Methylphenidate for nearly two years, a small dose of 15mgs/day, ìt has made a difference, it offers more predictability to our days and gives us windows of calmness amid the chaos!! He does however continue to favour the F word with lots of variations often combined with idiot.... the joys. The massive meltdowns mainly happen when meds are out his system. I constantly question my parenting but tonight am too knackered and enjoying a large glass of wine. I feel for you. I know that lonely feeling too. It's hard to explain to people the intensity of our lives. Only again today I had another "all children do that" comment from a well meaning person. I hate the swearing. I suppose I should be grateful that she on,y does it at home (or in the car where other people can't hear). I worry that Pipmwill copy her. He's said it already a few times. I'm not sure the dose Katie is on is sufficient. She's only in 5mg. It's thankfully not negatively effected her appetite, if anything she's hungrier than usual. But I don't think it's offering much by way of calming her hyperness. I'm trying very hard to no react and stay calm and be a good mirror......but it's very hard lol.